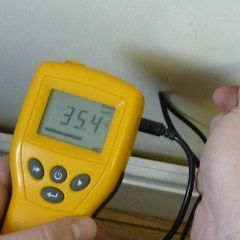 BAR Preservation provide damp proof specialist surveys and strategic repairs to homes & buildings with damp problems. Our surveyors have the specific qualifications, skills and experience to inspect and rectify all forms of damp; they are all Certified Surveyors for Remedial Treatments (CSRT). A qualified Surveyor will visit your property to carry out a full damp survey and undertake an extensive investigation into the cause of dampness within the building. Once the problem(s) have been identified our Surveyor will provide a full written report listing the defects, explaining the recommended repairs required and providing a cost for our trained specialist technicians to carry out the work. BAR Preservation is a full member of the Property Care Association (PCA), incorporating the British Wood Preservation and Damp proofing Association (BWPDA). Membership of the Property Care Association gives BAR Preservation the opportunity to provide insurance backed guarantees issued by Guarantee Protection Insurance Ltd (GPI), which many regard as the best available.